The Supreme Court bench of Justices Madan B.Lokur and Uday Umesh Lalit, on Thursday, reserved their orders in the Manipur Encounter case, after hearing the counsel for three days. In the latest hearing, the bench was concerned with only one category of cases, namely, Judicial Inquiry (JI) cases, which resulted from the orders of the Guwahati and Manipur High Courts. As per the court’s order on April 7, there are 37 JI cases. The Court will have to hear separately 35 Commission of Inquiry cases, 23 NHRC cases, and 170 cases with written complaint. These constituted 265 cases out of the 655, which the petitioner organization, Extra-Judicial Execution of Victims’ Families Association (EEVFAM) culled out of the 1528 possible encounters, for the assistance of the Court. Amicus Curiae, Menaka Guruswamy, submitted that the Supreme Court has, in less serious cases, intervened to direct filing of FIRs and investigation by the Special Investigation Team; therefore, she suggested, filing of FIR is the minimum that the State can be directed to do, in cases in which judicial inquiries have established fake encounter deaths. 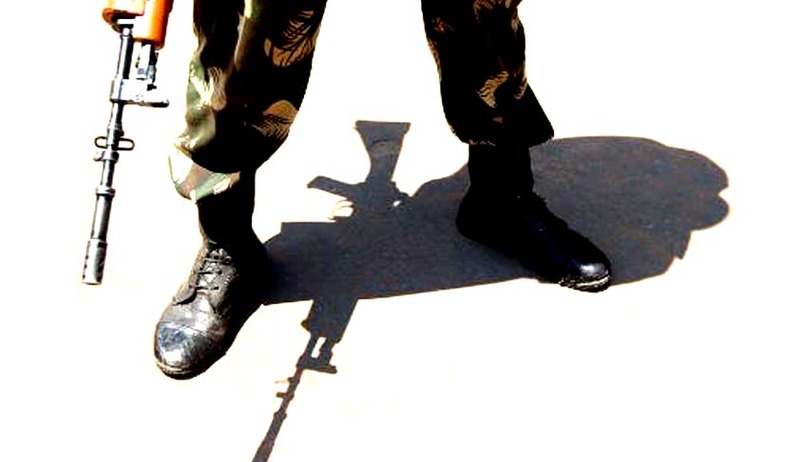 The Attorney General, Mukul Rohatgi, on the contrary, argued that the Army is governed by a slightly different set of rules, and urged the Court not to embark on this, as it tarnishes the image of the Army. ‘Article 32 of the Constitution can’t be used in this fashion like an umbrella’, he told the bench. When Justice Lalit asked some specific questions about the Army’s operations in the State, the AG said: “It is a military operation; we can’t dissect it this way”. Comparing Manipur with Jammu and Kashmir, he said the Army is facing the same problem in both the States. Elaborating, he said this is not a correct exercise under Article 32. Army can’t be subjected to FIRs. No Army operation can take place, it will become impossible, if FIRs are to be filed against Army personnel, for encounter deaths, the AG observed. These are not cases of massacres, but operations, the AG added, while pointing out that every operation is not to be disbelieved. He also questioned the locus of the petitioner to “take up cudgels on behalf of the victims”. The AG advised the Amicus not to play the role of the counsel for the petitioner, but to present the true position to the Court. The Amicus Curiae, in her turn, recalled how Ambedkar described Article 32 as the soul of our Constitution, and told the Court that it has before it two competing visions of Constitutional democracy, and two competing visions of the idea of India. Senior counsel for the petitioner, Colin Gonsalves, said money is not the demand, but justice. He recalled that Justice Santosh Hegde, who probed encounter deaths, under the directive of the Supreme Court, was moved by the truthful testimony of mothers of the victims. Not one victim had a serious criminal record, he pointed out. Justice Lalit said if the police is aware of the crime, it is their duty to register FIR. Senior counsel for Manipur, V.Giri said, in law, there is no inhibition to register FIR now, even if offences were committed many years ago.